In Ethiopia, where politics is a sensitive issue, who will step into the shoes of outgoing Prime Minister Hailemariam Desalegn has become a subject of public discussion in the Horn of Africa nation. 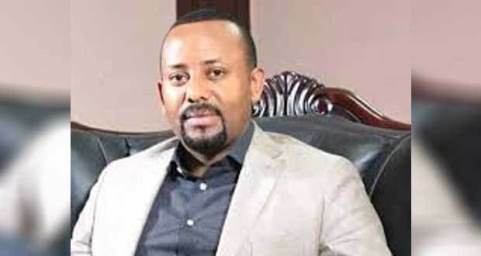 One Dr Abiy Ahmed, the new leader of Ethiopia’s Oromo Peoples' Democratic Organisation (OPDO), is being tipped to succeed Desalegn, who tendered his resignation last week as head of the government and chairman of the ruling Ethiopian Peoples’ Revolutionary Democratic Front (EPRDF). His departure followed two and half years of street protests in which hundreds were killed and thousands detained, mainly from the country’s largest ethnic groups, Oromos and Amharas. The EPRDF is composed of four political parties, mainly divided along ethnic lines namely, the Tigrayan People's Liberation Front (TPLF); the Amhara National Democratic Movement (ANDM); the Oromo Peoples' Democratic Organisation (OPDO); and the Southern Ethiopian People's Democratic Movement (SEPDM). In an extra-ordinary meeting it held on February 22, 2018 the central committee of OPDO elected Dr Abiy Ahmed as chairman, to replace Lemma Megerssa the immediate past occupant of the post. Megerssa is now deputy OPDO chair, but maintains his post as president of the Oromia region. OPDO’s 81-member central committee unanimously voted for Dr. Ahmed to replace Megersa as chairman is seen as a bid to position him to step in as the next Prime Minister of the country. The Oromo, who make up more than 34 percent of the population, have long complained about political and economic exclusion. One of the protesters' central demands has been for greater political representation at the national level. As individual parties are holding extraordinary meetings to elect their leaders who will be candidates in the contest for the next Prime Minister, the TPLF abstained from proposing a candidate, though Dr. Debretsion Gebremichael who served as deputy prime minister and minister of Information, Communications and Technology, was elected as chairperson of the party two weeks ago. TPLF’s abstention is seen as strategic, as it would be seen as adding fuel to fire for the ruling party to name a Tigrayan national as a Prime Minister, since one of the protesters' demands is to revamp the composition of the federal government, which is widely believed to be dominated by Tigrayans since 1991, even though they constitute less than six percent of the entire one hundred million plus population of Ethiopia. The central committee of the EPRDF has 180 seats, with each member party assuming 45. Meanwhile, the ruling coalition will select Ethiopia’s next prime minister through a secret ballot in coming days, after the remaining two parties announce their candidates. The SEPDM claims that it has all legitmate rights to name the next prime minister to replace Desalegn, who was chairman of the movement. The ANDM is also interested in the premiership position. ANDM represents 23 percent of the entire population, and played a major role in the armed struggle against the military junta in 1991. It has not assumed the country’s top position since then. Hence, it coup grab the next prime minister‘s position. Meanwhile, with the Oromo ethnic group for long complaining of political exclusion, Oromo protesters have been demanding that Megersa, who is chief of the Oromia regional state, should be next PM. The protesters’ claim has received support from the Oromo Diaspora, and Jawar Mohammed, an influential Oromo activist, has been blamed by the government of Ethiopia of organizing street protests through social media. There is consensus that if the next prime minister comes from OPDO, it will partly answer the demands of the protesters and the party itself, by having the first ethnic Oromo head of government in the country’s modern political history. Thus, the OPDO badly needs to win the next Ethiopian premiership position. Accordingly, TPLF central committee members have resurrected their king-maker role by voting for one of the candidates proposed by three parties as the next PM, at the EPRDF’s council meeting to be held later this month or early in March. In a bid to return the country to normalcy, TPLF central committee members are expected to vote for the OPDO candidate, Dr. Abiy Ahmed. Ethiopia’s ruling party could choose the leader of the protest-hit Oromia region as its next chairman, which would be a step toward succeeding Desalegn, TPLF member Getachew Reda and EPRDF executive committee member has been quoted as saying. TPLF members reportedly believe that Megersa has failed to handle Oromo ethnic mass protests in which Tigriyan nationals were victims, in some towns of Oromia region. They also claim that it will be illegitmate and bad practice for the EPRDF to vote for Megersa who has won the trust of Oromo protesters and Jawar Mohammed. Dr. Ahmed’s election as chairperson of OPDO to replace Megersa stems from a strong desire to win acceptance from the TPLF, whose central committee members are expected to vote for Dr. Ahmed, partly out of a strong desire to arrest the current unrest in Oromia state; and to fix ethnic Oromo’s complaint that they have been denied the county’s top job in the 27-year-rule of the EPRDF. Thus, there is a general consensus that Dr Ahmed will be Ethiopia’s next prime minister, after winning a total of 45 votes of OPDO central committee members, and the votes of a majority TPLF central committee members, at their meeting to be held within a month. Dr. Abiy Ahmed was born in 1976 in Agaro, Jimma Zone of Oromia state. In 2015, he met his wife during his service with the Ethiopian Defence Forces, with whom he has three young daughters. Ahmed received his first degree in Computer Engineering from Microlink Information Technology College in Addis Ababa in 2001, and holds an MA, Transformational Leadership and Change from Merit, Greenwich University, London, in collaboration with International Leadership Institute Addis Ababa in 2011. He also holds an MBA (2013) from Ashland Leadstar University, and completed his PhD in 2017 from the Institute for Peace and Security Studies at Addis Ababa University.